Screen Gems has wrapped up a neat package for This Christmas, setting an ensemble cast and a November 21 release date for a holiday-themed drama written and to be directed by Preston Whitmore (Crossover). Principal photography has begun on Screen Gems' This Christmas, starring Loretta Devine, Delroy Lindo, Idris Elba, Regina King, Sharon Leal, Lauren London, Columbus Short, Chris Brown, Laz Alonso, Keith Robinson, Jessica Stroup, and David Banner. 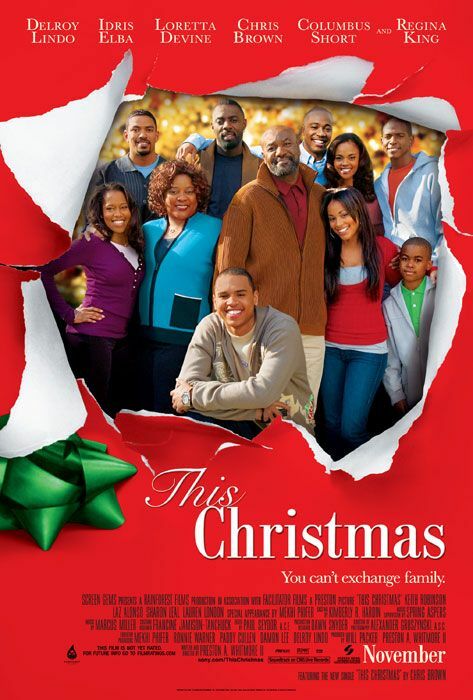 This Christmas is being produced by Will Packer (Stomp the Yard). Executive producing is Paddy Cullen, Mekhi Phifer, and Ronnie Warner. Production is taking place in Los Angeles. The Whitfield family gathers together under the same roof for their first Christmas together in seven years and in turn learn what made them a family in the first place. Individuals in the family are forced to overcome the fears and obstacles that they have been facing for years. Ma'Dere played by Loretta Devine has to come to a point of acceptance and support for the lives her children have decided to pursue. This Christmas is filled with trials and tribulations that result in laughter, love, and holiday cheer! Photos ©2007 Screen Gems. All rights reserved.